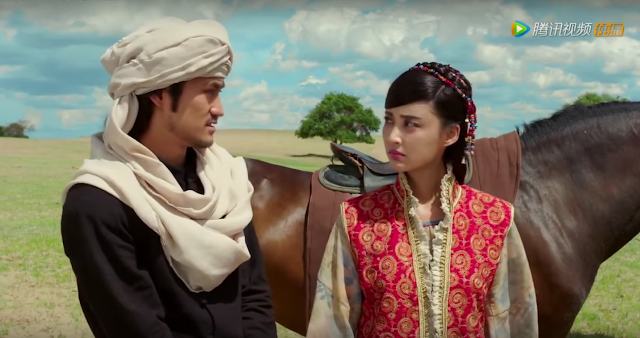 Is Princess Jieyou a light-hearted affair rather than a serious historical drama? Whatever it turns out to be, I'm loving the humor thus far. Jieyou (Zhang Xinyi) agrees to lead the way on the condition that the Xiong Nu general release them once they find water. 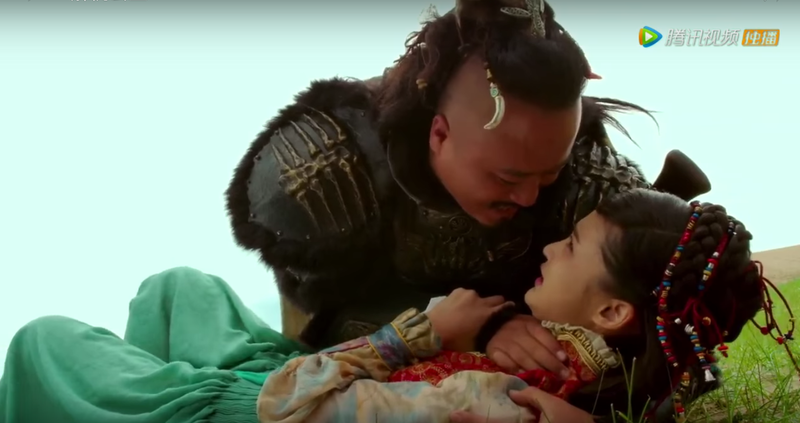 Wong Gui (Yuan Hong) enlists Jieyou's help to steal his dagger back, turning up the sweet talk and showering her with praise. Jieyou asks what's in it for her and Wong Gui answers, "I can only offer myself," which earns an incredulous laugh from Jieyou who retorts, "Fine, once I get the dagger back, you're mine." 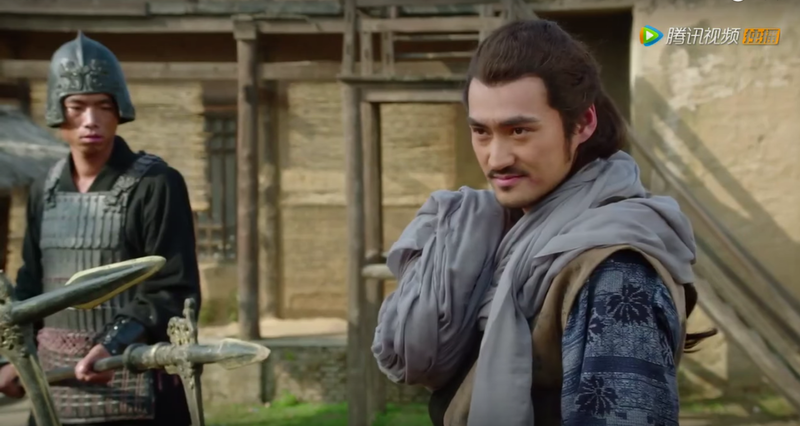 After the Xiong Nu has had their fill and the dagger reclaimed, Jieyou and Wong Gui prepare to leave. However, the general reneges on his promise and makes a move on Jieyou, causing the two to make a run for it. They return safely to the circus troupe, thanks to a foresight by Jieyou to drug the general and his soldiers. Alas, Jieyou's pendant goes missing, the very same one that Wong Gui almost pawned in the previous episode. Ah Cai explains the pendant's significance since it is the only keepsake Jieyou has from her parents. Wong Gui assures Jieyou that he will find it, even leaving his dagger as a token of good faith while Ah Cai looks on with a tinge of jealousy. 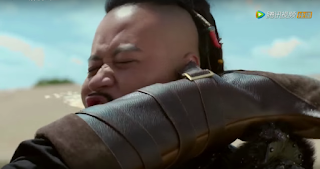 What are the chances of the general picking up Jieyou's tiny pendant across a vast land of sand and dust? Apparently, quite high. 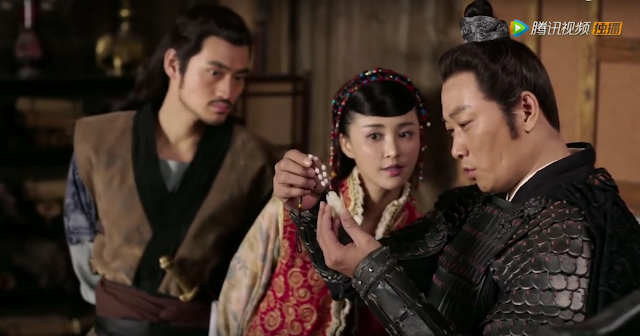 The general keeps the pendant and seeks to cause more trouble by sending a sketch of Wong Gui's dagger along with the words indicating that whoever has the dagger is a Xiong Nu spy. 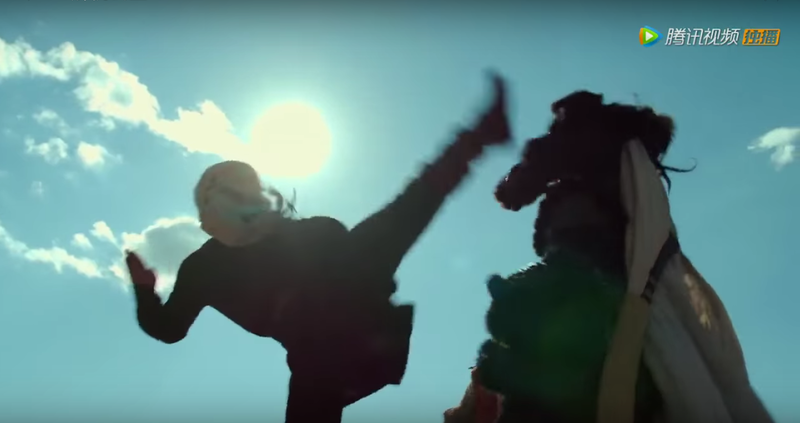 This does not bode well for Jieyou who is in possession of said dagger and she is thrown into prison as a result. Meanwhile, Wong Gui follows the general to a gambling den and he was close to recovering the pendant until their game is abruptly disrupted by a military inspection. Wong Gui seizes the opportunity to create a diversion, simultaneously motioning to the Xiong Nu general, "Big Brother, run, I'll cover you!" Outed as the spy, the pissed off general runs but not before realizing that he's been played by Wong Gui once again. Our bickering couple reunite at their own execution given that both of them are sentenced to death for treason. Wong Gui manages to eke out a yes from Jieyou to marry him on the grounds that it's better to die as a couple than not. But of course, they don't die and as if becoming another person, Wong Gui stands tall and reclaims his identity as General Wong Gui of Wusun. General Li apologizes for the misunderstanding and he invites everyone to his home. He also recognizes Jieyou's pendant, thereby letting her know that the truth behind her identity might lie with someone in the capital. Comments: Yuan Hong is killing it and his range of expressions that are sometimes animated sometimes fierce, priceless. I've seen him as Yang Kang, Shen An, the 13th Prince and probably more but his portrayal as Wong Gui is becoming an easy favorite. I like the characters and their kindred ways that fit well in a story that's been mostly carefree. 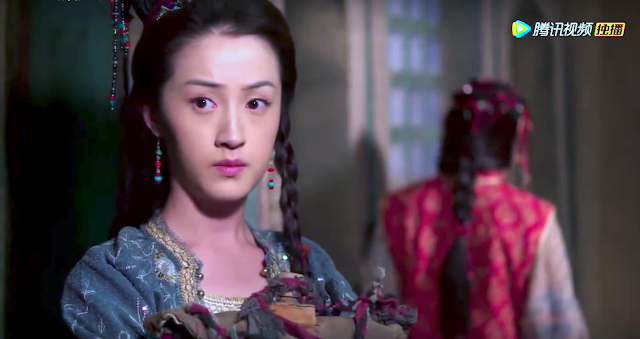 In hindsight, I'm actually not so thrilled to move to the confines of the palace, which I surmise is where we're headed since Jieyou is Princess Jieyou.